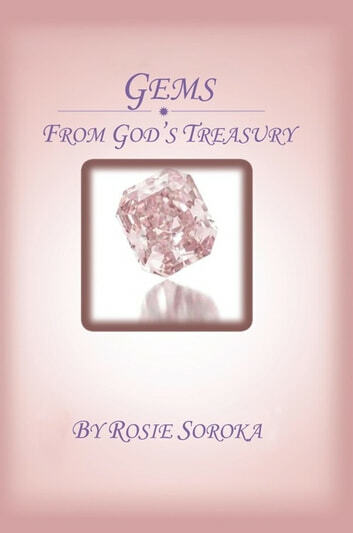 In Gems: From Gods Treasury, author Rosie Soroka helps you discover why the Word of God is living and teaches you to seize your inheritance using Gods own words. Employing a three-prong approach, she provides fodder for helping you making the right choices in life that lead to attaining your true purpose. Treasured Revelations provides a well-rounded Scripture study addressing everyday topics such as endurance, renewal, judging, grace, promises, choice, and Earth. Each section includes easy-to-follow examples, discussion on how they apply to everyday life, and suggested exercises to put the verse in motion in your life. The Prayers section communicates the powerful prayers that have the ability to unleash supernatural blessings and teach you how to use the Word of God in your prayers. 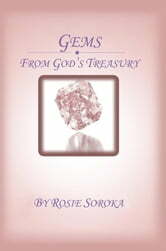 In Psalms, Rosie shares her own personal passionate psalms with messages of captivation, beauty, and exaltation. The message communicated in Gems helps Christians to find true intimacy with God and to unleash the power of the Holy Spirit that lies inside each person.